Like a broken record, I keep saying AOPA is one class act. But their new (relatively) online safety courses from the AOPA Air Safety Foundation are as good as anything you’ve seen anywhere on the Internets. They are (a) free (b) fun (c) very educational and (d) qualify for FAA Wings Program credits. I have just begun the Engine and Propeller course, and trust me when I say, these are not simple little things to dink around in when you want to kill time online. This is serious learning meant to be taken seriously. Their system remembers your progress (if you give them a valid email address), so you can return to complete the course if you run out of time in your current session. These are high bandwidth courses designed in Flash, meaning you need (a) a fairly fast internet connection…anything but dialup ought to be fine – and (b) a recent version of Macromedia’s Flash player, which most modern computers will already have. GPS for VFR Operations – This course offers a clear explanation of how GPS works and how you can use it to make your next VFR flight more efficient, enjoyable, and safe. Thunderstorms and ATC – Learn how ATC describes precipitation, what weather-radar services controllers can offer, and how to effectively communicate with ATC. 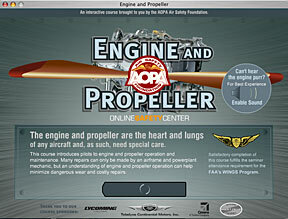 Engine and Propeller – Learn about engine and propeller operation and maintenance. Many repairs can only be made by an airframe and powerplant mechanic, but an understanding of engine and propeller operation can help minimize dangerous wear and costly repairs. 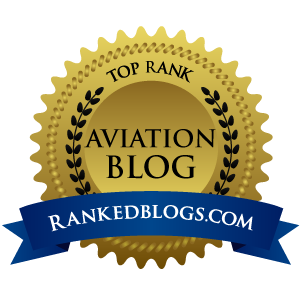 Ceiling and Visibility – Most pilots don't realize that low ceilings and restricted visibilities are aviation's most deadly killers. With a little knowledge, you can minimize the risk these conditions pose. Mountain Flying – This course teaches pilots about the challenges of high-density-altitude operations, flight planning and performance considerations, mountain weather, and more. Mission: Possible — Navigating Today's Special Use Airspace – Review the key points of navigating special use airspace and learn how military lights-out training could affect you. Runway Safety Program – Runway incursions pose a significant but unnecessary risk for pilots and their passengers. Know Before You Go – Keeping up with the latest regulations in airspace is a hot topic these days. Say Intentions – When pilots find themselves headed for trouble, they often forget one of the most useful tools in cockpit. IFR Adventure, Rules to Live By – Learn about IFR regulations as you experience a realistic IFR flight. 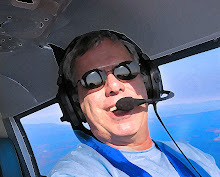 Single-Pilot IFR – Is single-pilot IFR safe? How can we make it safer? SkySpotter – If we all submit pilot reports, we'll know what we're getting ourselves into or avoid getting into it. Oh, and did I mention that these courses are just plain great looking. And as one who basically flunked out of being a Flash designer in webmaster school, you simply HAVE to appreciate the quality and intricate coding that went into making the pretty pictures move around your monitor.